Spokane has received 21 inches of snow since Feb. 1, making the first two weeks of February this year the seventh snowiest for that period since record keeping began in 1893, the National Weather Service said. SPOKANE, Wash. (AP) — Unusually heavy snow in the Spokane area has caused snow plow rage: Two plow drivers clearing streets this week were threatened by people infuriated when their driveways ended up blocked with mounds of snow. In one incident, a man with a holstered handgun yelled obscenities at a plow driver and climbed onto the plow truck, trying to open a door, said Spokane County spokeswoman Martha Lou Wheatley-Billeter. And on Thursday morning, another man threatened to get a gun while ordering a plow driver not to block a driveway with snow from the street, Wheatley-Billeter said. The man with the holstered gun was not charged by sheriff’s deputies because he had a permit to carry it and no charges were filed against the other man, said sheriff’s spokesman Mark Gregory. Spokane has received 21 inches (53 centimeters) of snow since Feb. 1, making the first two weeks of February this year the seventh snowiest for that period since record keeping began in 1893, the National Weather Service said. More snow was falling Friday. 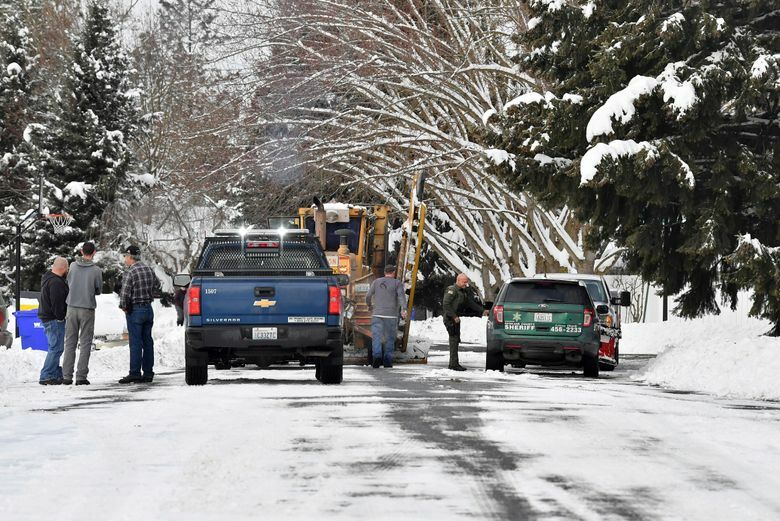 People with driveways blocked by snow from plows should make complaints to county officials if they are upset, Spokane County Sheriff Ozzie Knezovich said in a statement. “There are proper ways to address the snow plow concerns and intimidation is not one of them,” he said. The threats have prompted authorities to consider putting cameras on the snow plows, Wheatley-Billeter said. “Hindering public employees from doing their jobs will not be tolerated,” said County Commissioner Mary Kuney. The county’s plow drivers must clear about 2,500 miles (4,023 kilometers) of roads. The county is testing devices on plows that prevent snow from being plowed into driveways by keeping the snow in front of the plows as they pass driveways and then letting it go to the side of streets just past the driveways, Wheatley-Billeter said. They cost $25,000 each.